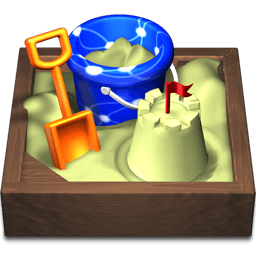 Dave Ruske used Sandvox to build this website. He chose the “Blueball Flexor Blue” design for the site. People may want to visit the site if they are looking for vintage computers based on the RCA CDP1802. The COSMAC ELF website is a gateway to the history of computers based on the RCA CDP1802 microprocessor, and features a collection of various publications: books, newsletters, and data sheets. A gallery shows off the wide variety of these computers, and is open for submissions from vintage computing hobbyists. The goal of the site is to support people who want to learn and have fun with these machines from yesteryear. If your hair isn't gray, odds are you missed out on the birth of personal computing (or you're coloring your hair!). And that's a shame, because early computers were wild with variety, often hand-assembled, and always fun. They were also simple enough to understand at the component level, providing an educational foundation that's hard to beat. Anyone interested in the history of these vintage computers is welcome, and the serious enthusiast will find loads of material to seed new ideas and experiments. The COSMAC ELF site's best asset is the community that developed around it, through a Yahoo group that has been active for 14 years. Friendships developed, new projects sprang up, and people from all over the world found common ground in these little computers. The website also features complete archives of some fantastic newsletters from the 1970s and 1980s, and some books hard to find elsewhere --- all made available with permission from the copyright holders. Some members from the Yahoo group associated with the COSMAC ELF website came together in 2014 at the Vintage Computer Festival Midwest, and put on an outstanding exhibit of the wide variety of computers based on RCA's CDP1802 microprocessor --- including a scale model of the Galileo space probe, which used the chip. Photos from the event may be found on the website's Gallery pages. I chose Blueball Design's Flexor Responsive theme because it was designed to work well with mobile devices --- iPhones and iPads are quickly taking the place of traditional computers for web browsing. Beyond that, however, it's a great looking theme on its own. My previous hand-coded pages looked miserable by comparison. One thing I needed was subheadings to break up sections, used mainly on the History page, at present. I used raw HTML to surround a string with <h3> tags for this effect. Raw HTML was also used for the book "A Short Course in Programming," which had been hand-coded HTML from the previous website. Code examples needed the <pre> tags to avoid getting reformatted, for instance. This website was created by Dave Ruske of Wisconsin, USA.